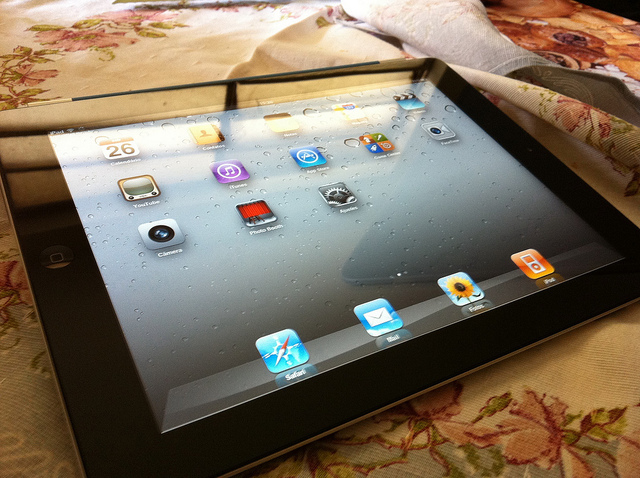 Rumours suggesting that Apple is working on incorporating high-definition displays into its next-generation iPads have been given a significant boost after sources close to two Taiwan LED backlight vendors revealed the Cupertino-based company may have to amend the way it utilises a backlight in its device, Digitimes reports. According to the Asia-centric publication, the two vendors have offered Apple the choice of two alternative backlight solutions for its next-generation iPad, which will require the device to be manufactured differently in order to output the reported 2048 x 1536 resolution consistently. Currently the iPad 2 uses a single LED light bar but the new tablet will see modifications to maintain and strengthen the brightness of the panels. This means that Apple could either keep the light bar as a single-bar and add two LED chips or utilise dual-LED light bars. In July, we reported that Apple had reportedly begun quality testing displays from Samsung and LG, the world’s two largest manufacturers of LCD panels, with the view to securing a deal to include advanced display technologies in its next-generation tablet device. According to sources, both companies were asked to produce screens with better picture quality and density so Apple would be able to test the screens at one of its laboratories in China. The screens are thought to be able to deliver 264 pixels per inch (PPI) or higher, at least twice the 132 PPI on the iPad 2, moving the company closer to the 326 PPI of the iPhone 4/4S. Sources have said Apple is likely to choose the dual-light bar option, after the companies said that they had resolved issues that led to increased heat output and high battery consumption – improving its reliability in the process.